Defence Secretary Gavin Williamson has signed a $1.98Bn (£1.51Bn) deal to purchase five E-7 Wedgetail aircraft. 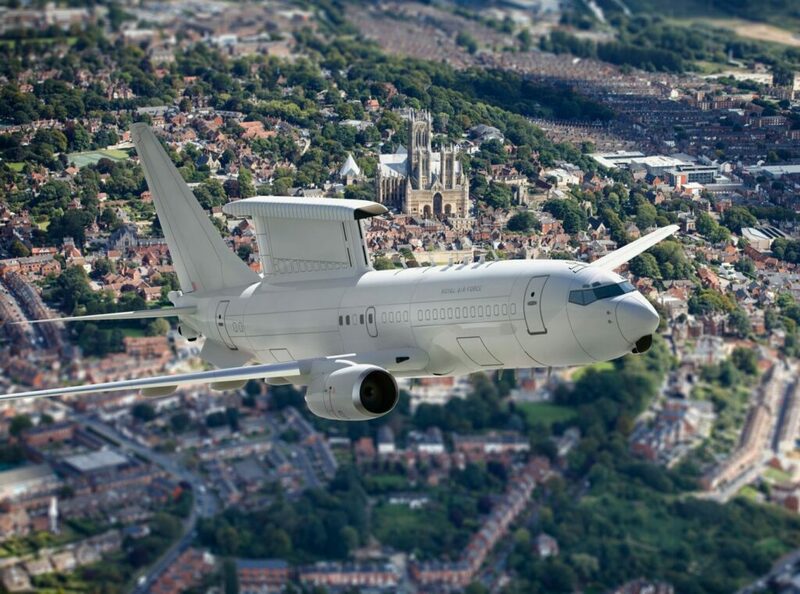 The E-7 Wedgetail fleet will replace the current E-3D Sentry aircraft and ensure the continued delivery of the UK’s Airborne Early Warning and Control (AEW&C) capability. Defence Secretary Gavin Williamson said: «The E-7 Wedgetail provides a technological edge in an increasingly complex battlespace, allowing our pilots to track and target adversaries more effectively than ever. This deal also strengthens our vital military partnership with Australia. We will operate the same state-of-the-art F-35 Lightning II jets and world-class Type-26 warships, and this announcement will help us work even more closely together to tackle the global threats we face». The new fleet will be able to track multiple airborne and maritime targets at the same time, using the information it gathers to provide situational awareness and direct other assets such as fighter jets and warships. The E-7 Wedgetail is a proven aircraft that is currently in service with the Royal Australian Air Force and has been used on operations in the battle against Daesh in Iraq and Syria. As part of the plan for a managed transition to E-7 Wedgetail, it has been decided to reduce the existing E-3D Sentry fleet from six to four aircraft by removing the two long-term unserviceable assets from the active fleet. Doing this now will enable the Sentry Force to focus resources on providing better availability from the remaining four aircraft, to better assure the future Sentry Fleet output, including our commitments to the NATO Airborne Early Warning and Control Force and the provision of NATO Assurance Measures missions. Speaking following the announcement, Chief of the Air Staff, Air Chief Marshal Sir Stephen Hillier, said: «Today’s announcement about the procurement of five E-7 ‘Wedgetail’ Airborne Early Warning and Control aircraft is excellent news for both the Royal Air Force (RAF) and wider Defence. This world-class capability, already proven with our Royal Australian Air Force partners, will significantly enhance our ability to deliver decisive airborne command and control and builds on the reputation of our E-3D Sentry Force. Along with Defence’s investment in other cutting-edge aircraft, E-7 Wedgetail will form a core element of the Next Generation Air Force, able to overcome both current and future complex threats». The E-7 Wedgetail is based on a standard Boeing 737 airliner modified to carry a sophisticated Northrop Grumman active electronically-scanned radar. This can cover four million square kilometres over a 10-hour period. The second GlobalEye aircraft took off for the first time at 11.00 am on 3 January from Saab’s airfield in Linköping. GlobalEye, which is based on a modified Bombardier Global 6000 aircraft with a suite of advanced sensors including the Erieye ER airborne radar, undertook a test flight collecting flight-test data. The flight duration was 2 hours 54 minutes. «Today’s successful first flight is another major step for GlobalEye. We received the initial contract in late 2015, completed the maiden flight with the first aircraft in March 2018 and now we have the second aircraft in the air just over nine months later. This is the kind of efficiency that signifies Saab», says Anders Carp, Head of Saab’s business area Surveillance. GlobalEye brings extended detection range, endurance and the ability to perform multiple roles, including tasks such as search and rescue, border surveillance and military operations. The launch customer for GlobalEye is United Arab Emirates, where the solution is known as the Swing Role Surveillance System (SRSS). 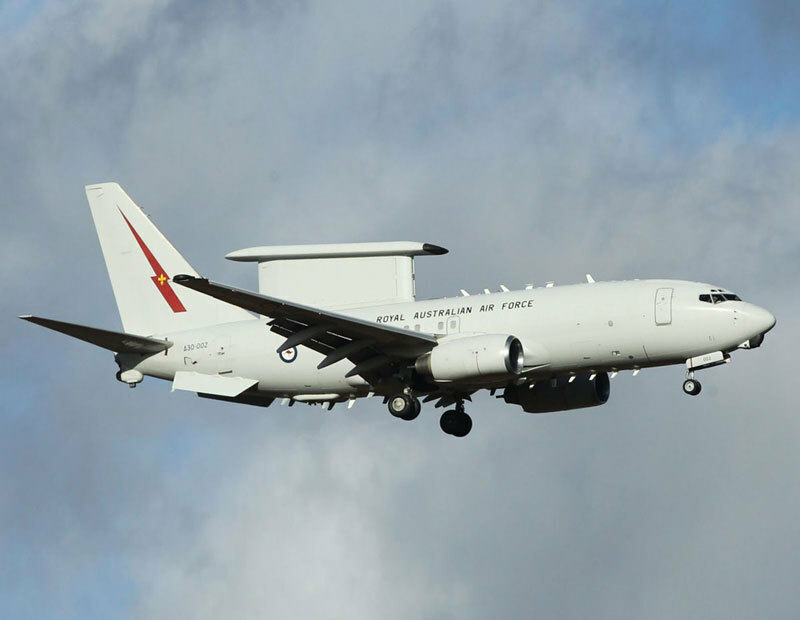 Speaking ahead of this week’s NATO conference, Defence Secretary Gavin Williamson has announced that the Ministry of Defence is in discussion with Boeing and the Royal Australian Air Force about the potential for the E-7 Wedgetail radar aircraft to replace the current Sentry fleet. The E-7 Wedgetail Airborne Early Warning and Control (AEW&C) System is able to fly for long periods of time and manage the battlespace from the sky, providing situational awareness and tracking multiple airborne and maritime targets at the same time. It then uses the information it gathers to direct other assets like fighter jets and warships. It has already been proven on operations in the battle against Daesh in Iraq and Syria. Further discussions are set to take place before any investment decision is made, as the MOD follows a stringent approvals process to ensure the aircraft meets the military requirement and represents value-for-money. If selected, UK industry could be involved significantly with the programme, from modification work to through life support. Speaking ahead of the meeting of Defence Ministers in NATO, Defence Secretary Gavin Williamson said: «The Wedgetail is the stand-out performer in our pursuit of a new battlespace surveillance aircraft, and has already proved itself in Iraq and Syria. Running air operations from the sky, it could be an excellent asset for the RAF and give us a real edge in this increasingly complex world. Our future with Australia will already see us operate the same maritime patrol aircraft, world-class Type 26 warships and supersonic F-35 jets. Wedgetail may join that formidable armoury and help us work together to take on the global threats that we both face». Following market analysis and discussions with other potential providers, the MOD has concluded that the potential procurement of the E-7 represents the best value for money option for the UK against need, whilst representing a significant opportunity for increased defence cooperation and collaboration with our key ally Australia. The MOD will work closely with Boeing to ensure Britain’s leading defence industry could also benefit from any deal. Named after Australia’s largest bird of prey, the wedge-tailed eagle, the high-performing aircraft has been proven on operations with the Royal Australian Air Force, having seen action against Daesh over Syria and Iraq and impressing US Forces in the ‘Red Flag’ series of large-scale exercises. The Wedgetail uses a standard Boeing 737 airliner modified to carry a sophisticated Northrop Grumman active electronically-scanned radar and can cover four million square kilometres over a single 10-hour period. If selected, it would replace the E-3D Sentry, which entered service in 1992. It is a proven and reliable aircraft that has been in-Service with the Royal Australian Air Force for some time, with potential to considerably reduce the risk normally associated with acquiring a complex new platform of this nature. The aircraft is based on the Boeing 737 airliner family as is the P-8A Poseidon maritime patrol aircraft due to enter service in 2019. The news represents a further development of the UK’s increasingly close military capability and industrial relationship with Australia, who recently selected the British Type 26 design for its future frigate. That decision confirmed the UK’s world-leading ship design capabilities, whilst strengthening collaboration in anti-submarine warfare and demonstrating the value of the global five-eyes partnership. With its proven interoperability, the Wedgetail could also link up with the RAF’s latest arrival, the F-35 Lightning, providing pilots with the latest intelligence and situational awareness demonstrating how a modernised next generation Air Force can fight and win in an increasingly complex and dangerous environment, characterised by high speed and low observability. With Australia also a partner in the F-35 programme, the RAF and the Royal Australian Air Force will have further opportunities to work together across platforms and with other allies such as the United States to share and collect data and conduct joint training missions, all leading to faster, more effective and more integrated combat forces. 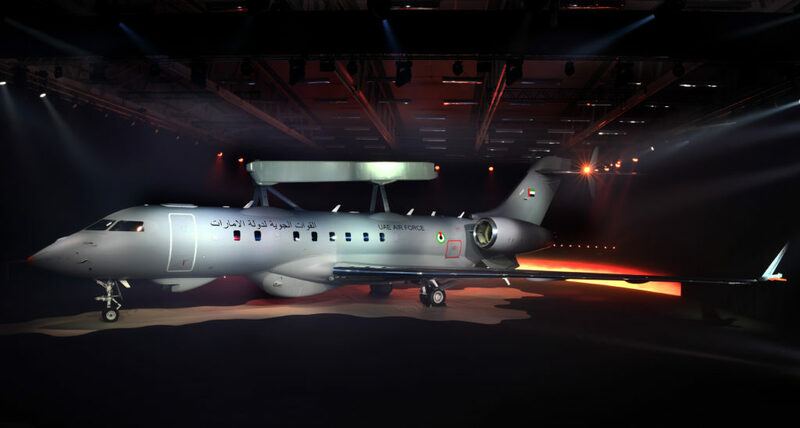 23 February 2018, Saab rolls out the first GlobalEye Airborne Early Warning & Control (AEW&C) aircraft to the media at its Linköping site, Sweden. 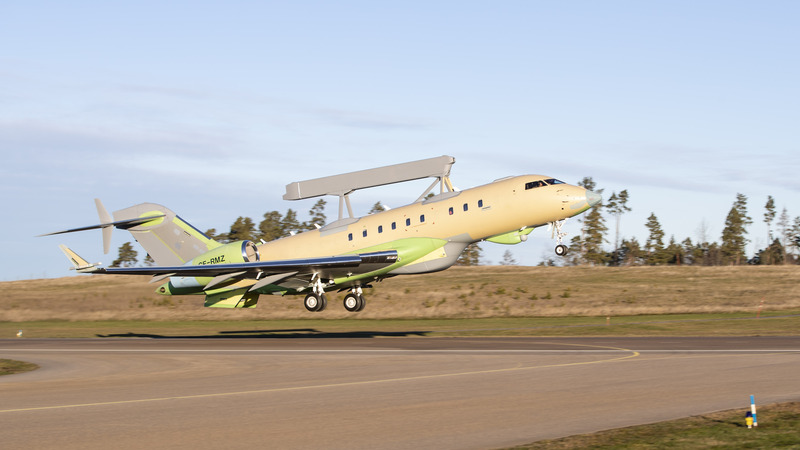 GlobalEye is an advanced, swing role airborne surveillance system based on a Global 6000 jet aircraft from Bombardier, which has undergone a thorough modification programme to adapt it for its role. The rollout marks a significant milestone on the programme. Saab is currently producing the GlobalEye AEW&C, combining air, maritime and ground surveillance in one single solution. GlobalEye combines a full suite of sophisticated sensors including the powerful new extended range radar (Erieye ER), with the ultra-long range Global 6000 jet aircraft. «Saab’s breadth and depth of expertise combines all of the necessary knowledge and technology required to design, develop and produce the most advanced AEW&C systems. Our collective capabilities deliver unrivalled solutions such as GlobalEye», said Anders Carp, Senior Vice President and Head of Saab’s business area Surveillance. «This milestone is clear evidence that the GlobalEye programme and Saab are delivering on our commitments». This first aircraft is equipped and being prepared for ground and flight trials to gather aerodynamic data as part of the ongoing development and production programme. The development and production contract was awarded at the Dubai Air Show November 2015 by the United Arab Emirates with an initial order for two systems. An additional order by the UAE for a third system was announced in 2017. The GlobalEye solution brings extended detection range, endurance and the ability to perform multiple roles with one solution, including tasks such as search & rescue, border surveillance and military operations. 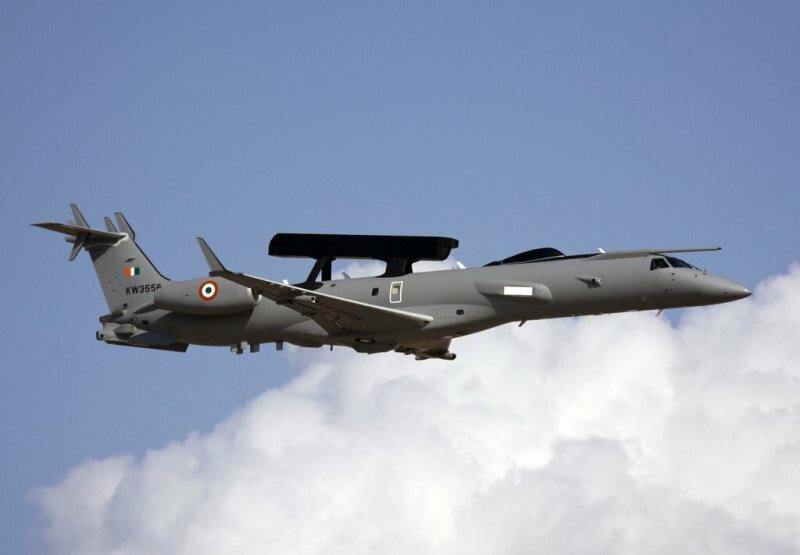 The first indigenous Airborne Early Warning and Control System (AEW&C) in IOC configuration shall be handed over to the Indian Air Force (IAF), on 14th February during Aero India 2017 at Yelahanka Air base in Bengaluru. This was announced by Chairman Defence Research and Development Organization (DRDO) and Secretary Department of Defence (R&D), Doctor S. Christopher while addressing the media in Bengaluru today, during the curtain raiser on DRDO’s participation in Aero India-2017. The Airborne Surveillance System is a game changer in air warfare. The AEW&C System is a system of systems populated with state-of-the art Active Electronically Scanned Radar, Secondary Surveillance Radar, Electronic and Communication Counter Measures, LOS (Line of Sight) and beyond LOS data link, voice communication system and self-protection suite, built on an Embraer EMB-145 platform, having an air to air refueling capability to enhance surveillance time. A Complex tactical software has been developed for fusion of information from the sensors, to provide the air situation picture along with intelligence to handle identification/classification threat assessment. Battle management functions are built in house to work as a network centric system of Integrated Air Command & Control System (IACCS) node. This system has been developed and evaluated through collaborative efforts between DRDO and the IAF, with coordination for certification clearance and quality assurance by Center for Military Airworthiness and Certification (CEMILAC) and Directorate General of Aeronautical Quality Assurance (DGAQA). The AEW&C system has undergone all weather and environmental trials and has been accepted by the IAF for induction. The primary mission of an AEW platform is to detect, track and identify targets in its patrol area and forward these data so as to give friendly forces an accurate and comprehensive operational picture. The Embraer EMB-145 AEW&C performs these tasks with excellent results. With an instrumented range of 280 miles/450 km, the AEW radar will detect and track targets long before they may become a threat. The Identification, Friend or Foe (IFF) interrogator, associated with supporting C2 databases, provides fast and reliable target identification. Finally, the advanced data-links allow all these vital data to be disseminated in a timely manner throughout the battle space to all units that need them. In the end, decision makers have the information they need at the time they need it. 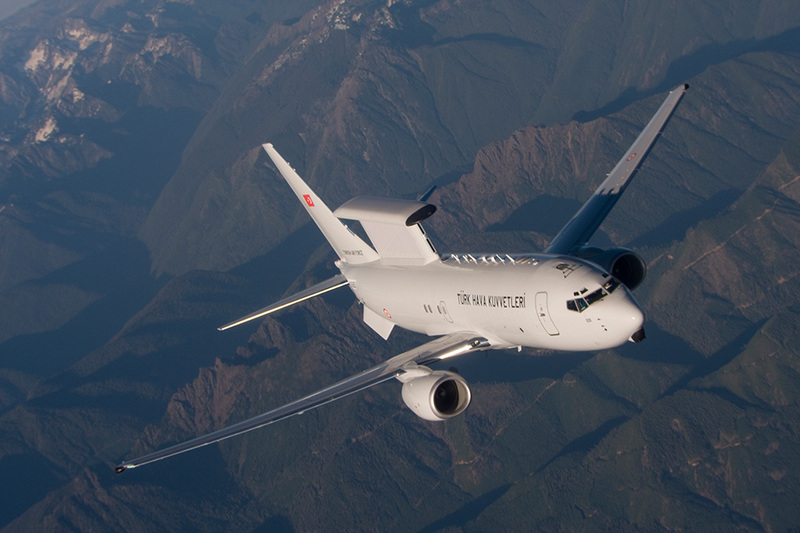 Boeing delivered the fourth and final Peace Eagle Airborne Early Warning & Control (AEW&C) aircraft to the Turkish Air Force at Konya Air Base today, completing the Turkish AEW&C fleet and enhancing Turkey’s airspace surveillance and battle management capabilities. This final aircraft includes upgraded software for the platform and the final element of the ground support segment, the Software Support Center (SSC). Previously delivered Peace Eagles will receive the upgraded software soon. Boeing worked with Turkish industry partners Turkish Aerospace Industries, Turkish Airlines, HAVELSAN and ASELSAN to complete the delivery of the final aircraft as well as establish technology capabilities like the Software Support Center, updated mission simulator software and mission support center software. 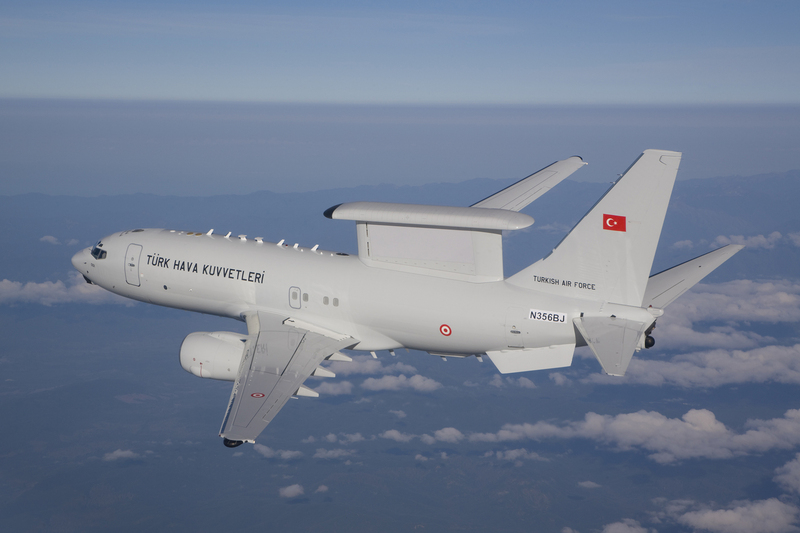 «Turkey is currently the only nation in this region with the AEW&C capability. By combining Boeing’s innovative engineering with the expertise provided by local Turkish industry partners, we’ve delivered an advanced world-class airborne surveillance system to our customer», said Aysem Sargin Isil, managing director, Boeing Turkey. Turkey, Australia and South Korea operate AEW&C platforms. 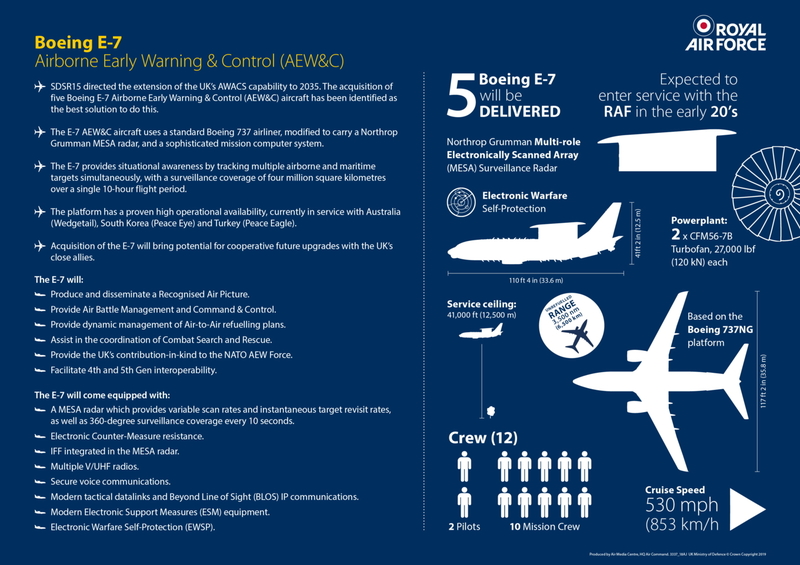 Based on Boeing’s 737-700 commercial airplane, the 737 AEW&C aircraft’s advanced radar and 10 state-of-the-art mission crew consoles can track airborne and maritime targets simultaneously. The battle management capabilities allow mission crew to direct offensive and defensive forces while maintaining continuous surveillance of the operational area.